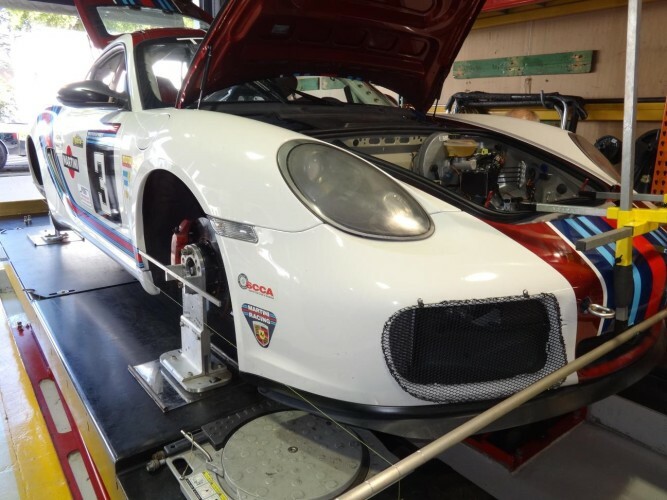 This 07 Cayman S was brought to our facility as a basic 3.4L model. 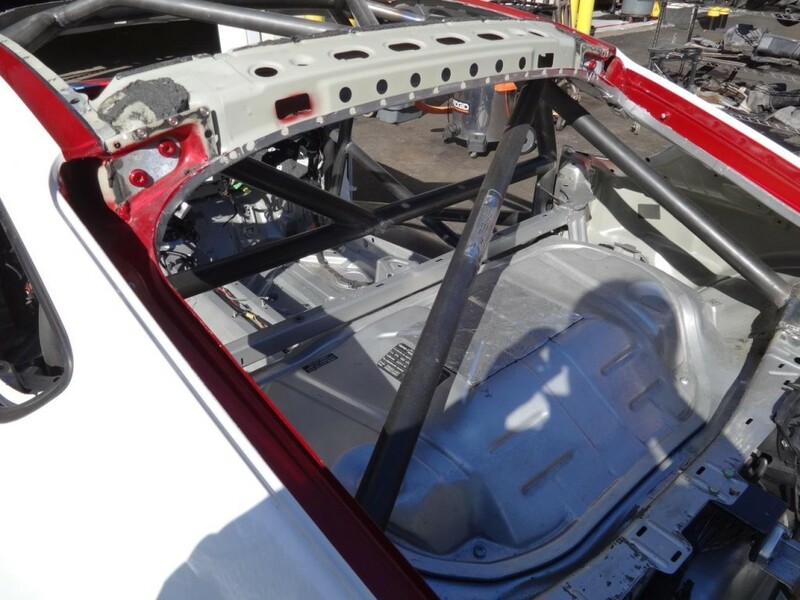 The owner requested the vehicle to be stripped down and built back up into a reliable track vehicle. 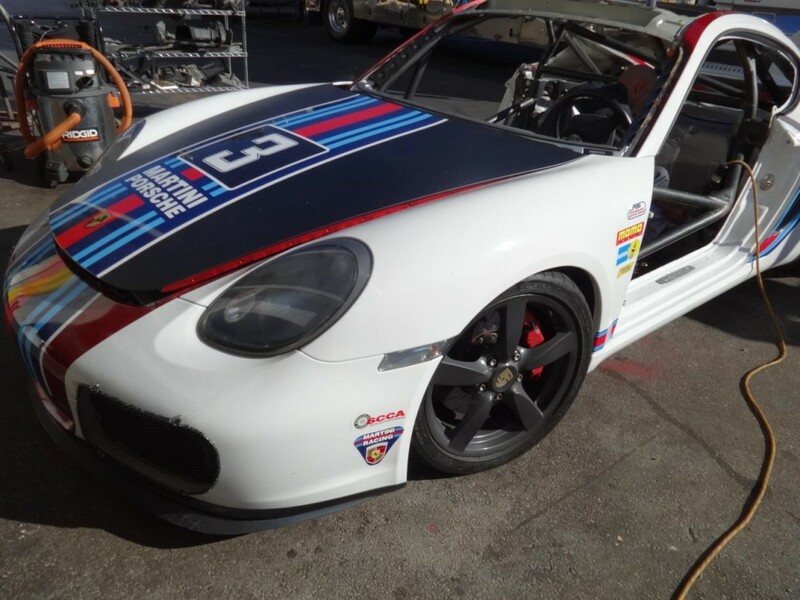 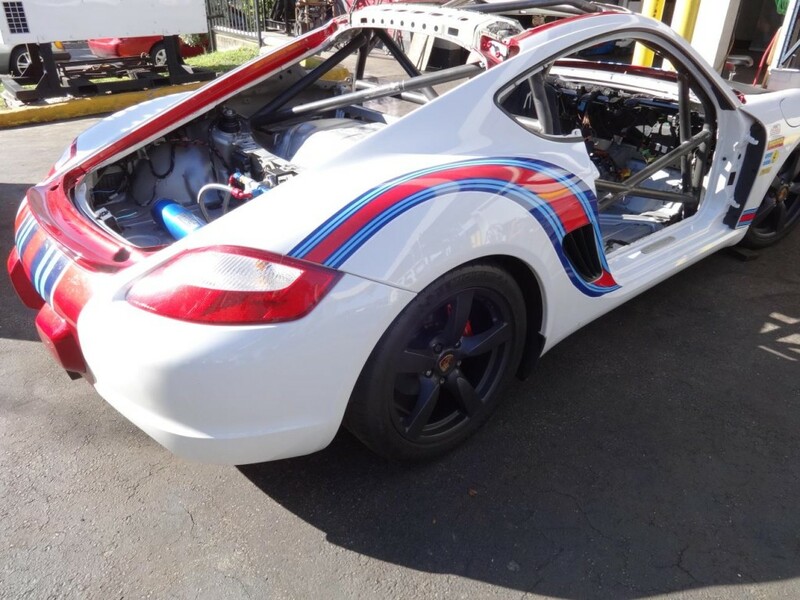 In the case of this specific Cayman, the engine assembly equipped had failed from oil starvation and was deemed un-salvageable. 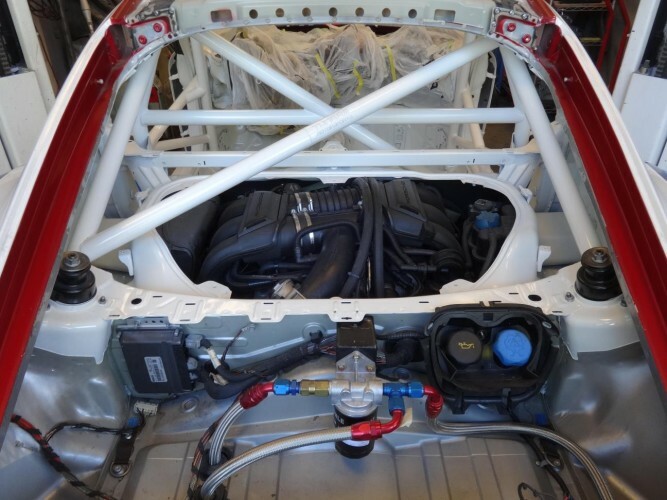 After a quick discussion, it was agreed to convert it to a Direct Fuel Injection power plant taken from a 2010 donor vehicle. 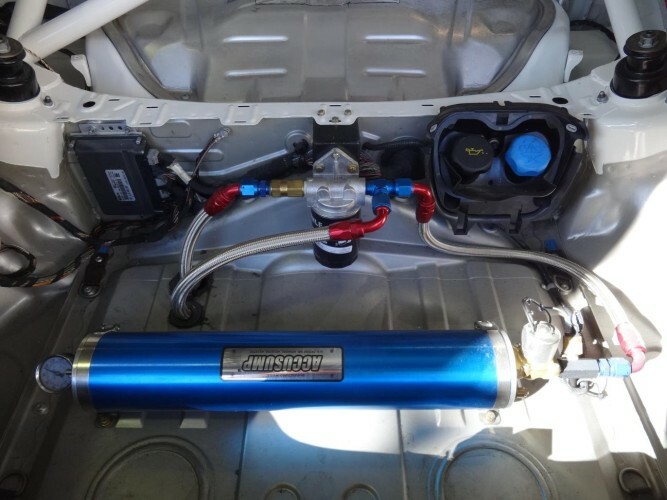 This is a more reliable setup and will provide more power as well. The interior was completely stripped to its tub. 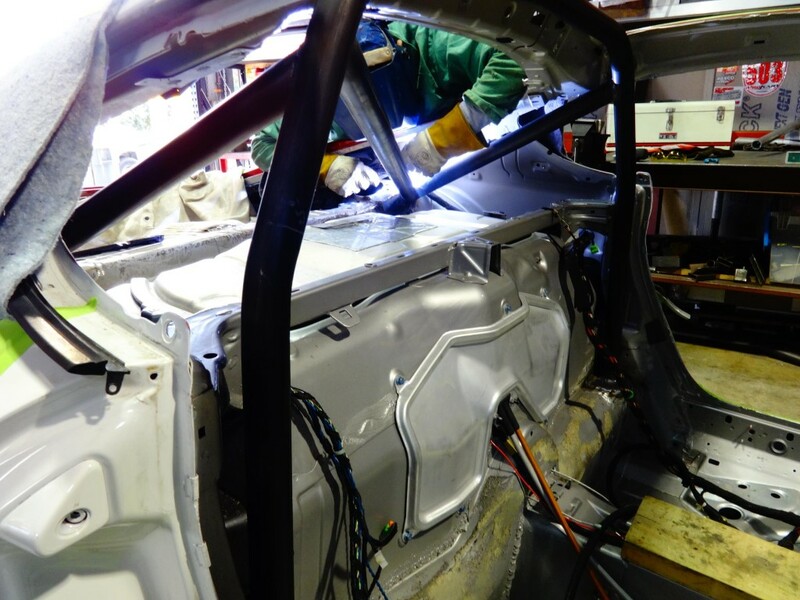 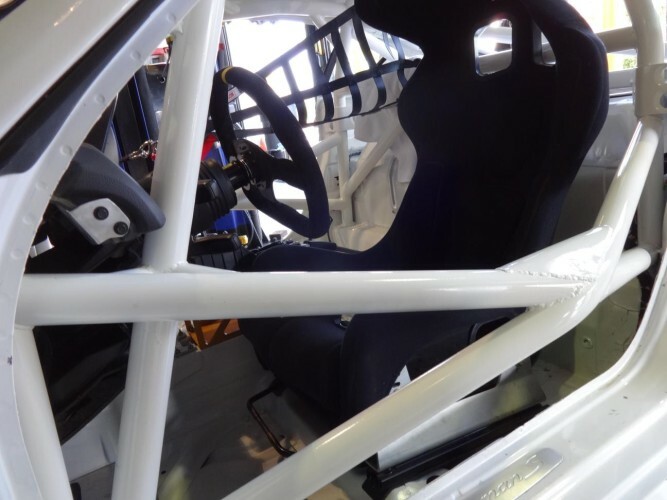 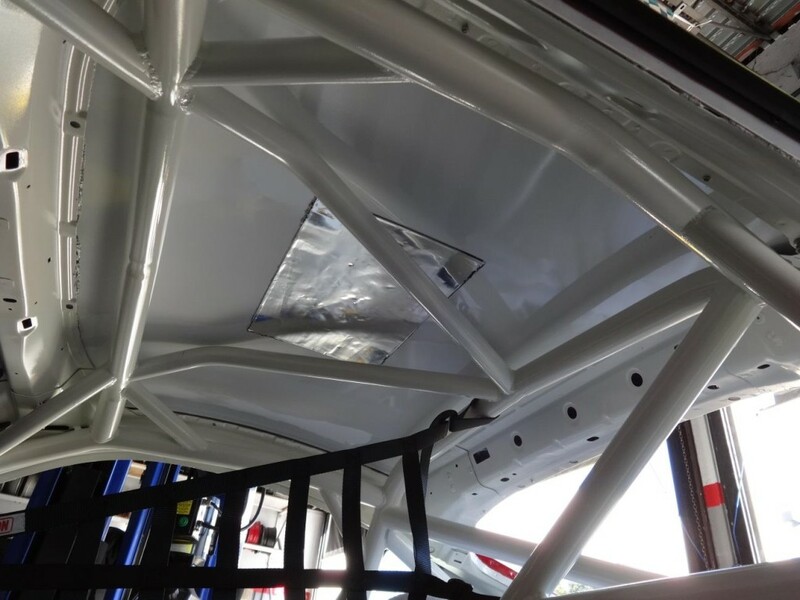 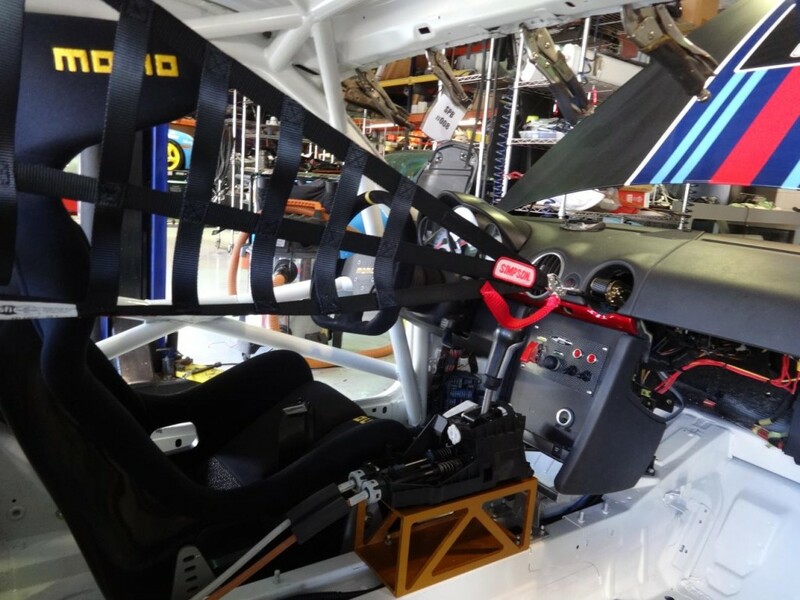 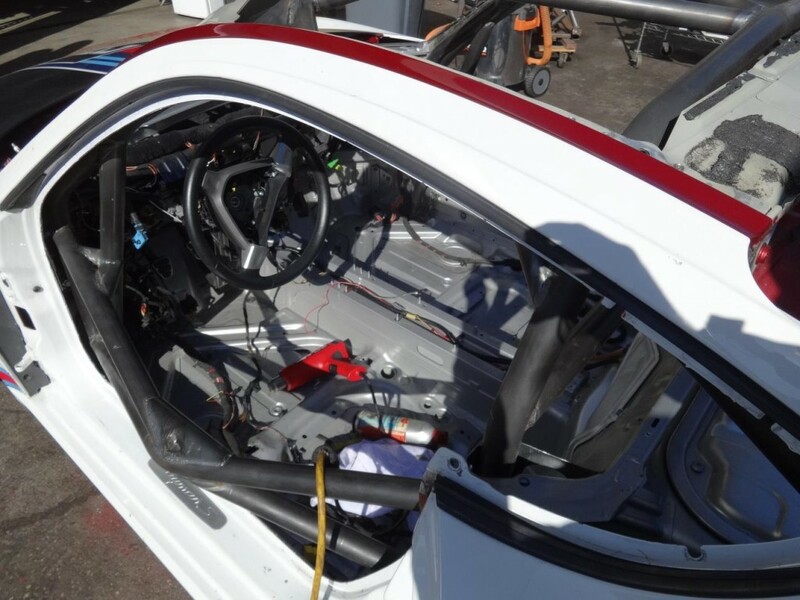 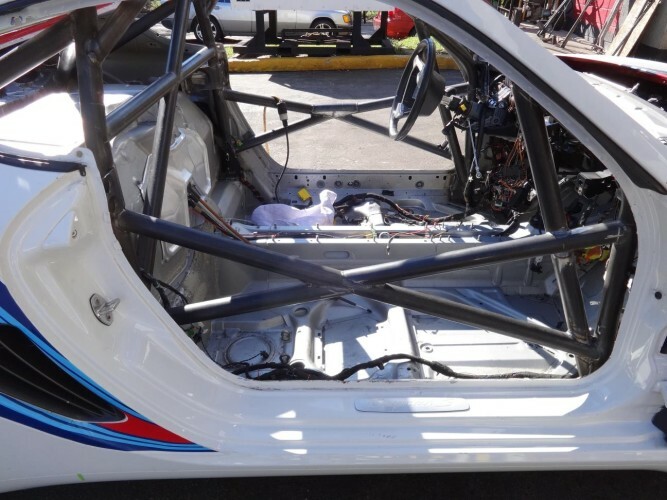 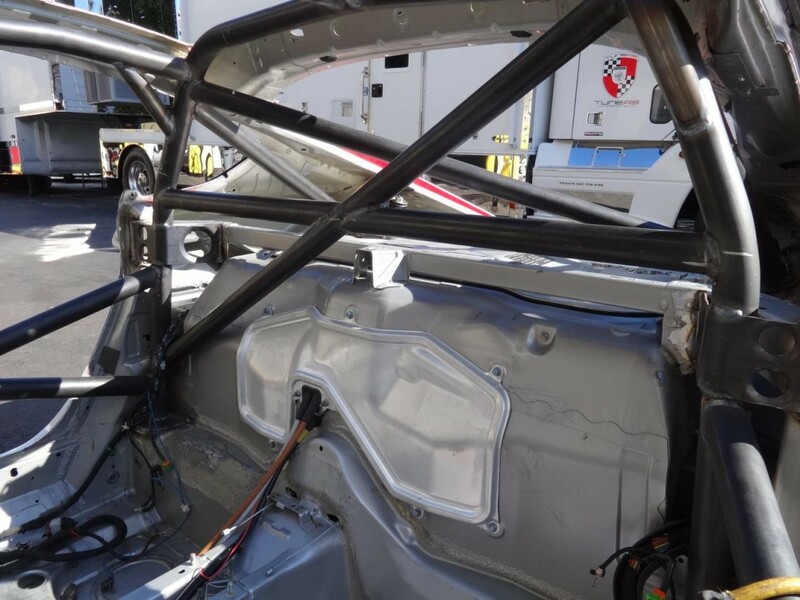 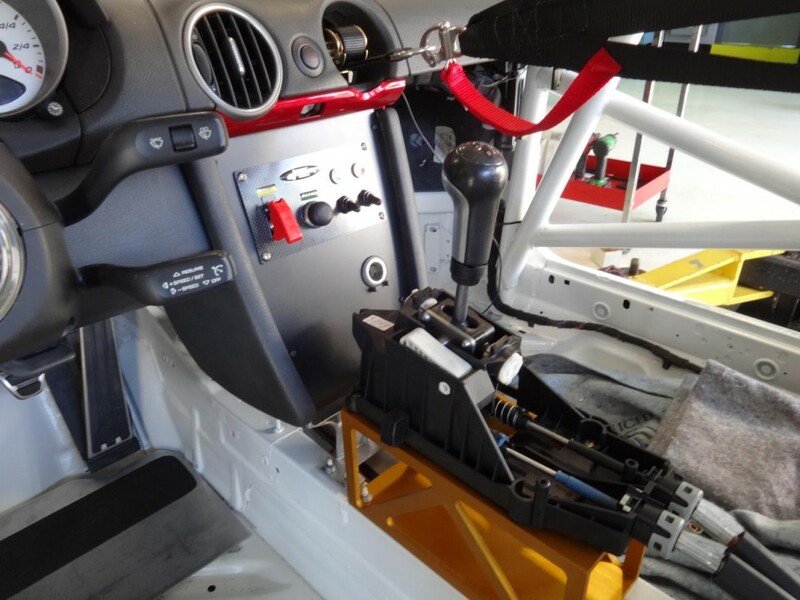 A complete 6 point weld-in roll cage, 1.75” OD chromoly grand-am specification roll cage was fabricated in house and installed. 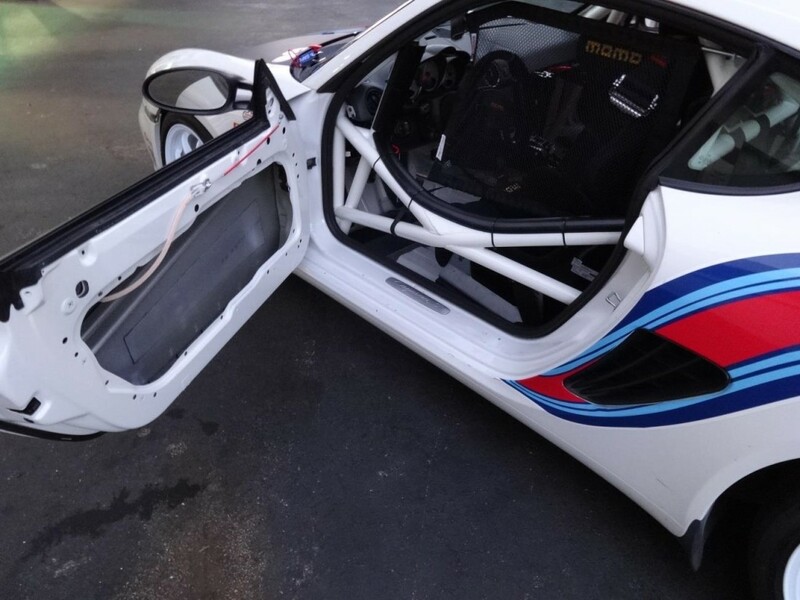 The vehicle color was changed to grand-prix white interior and exterior. 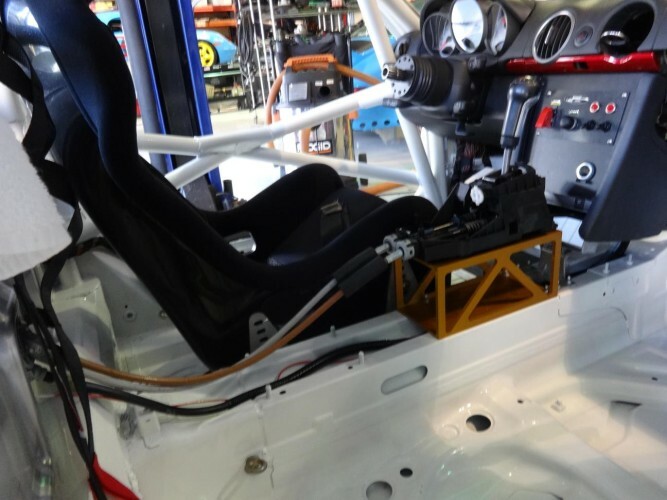 Once the cage was finished, all of the DFI wire harness was cleaned up to eliminate any unnecessary wiring, installed and the control modules were put in proper place. 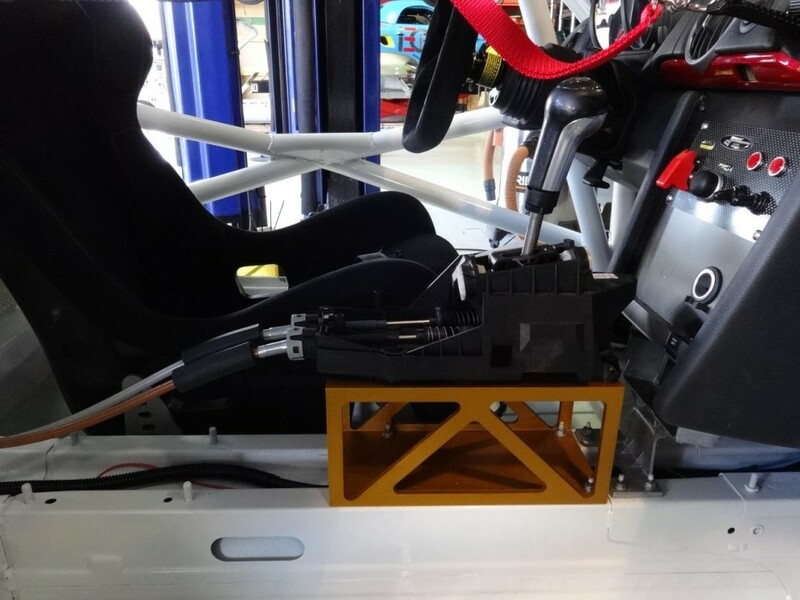 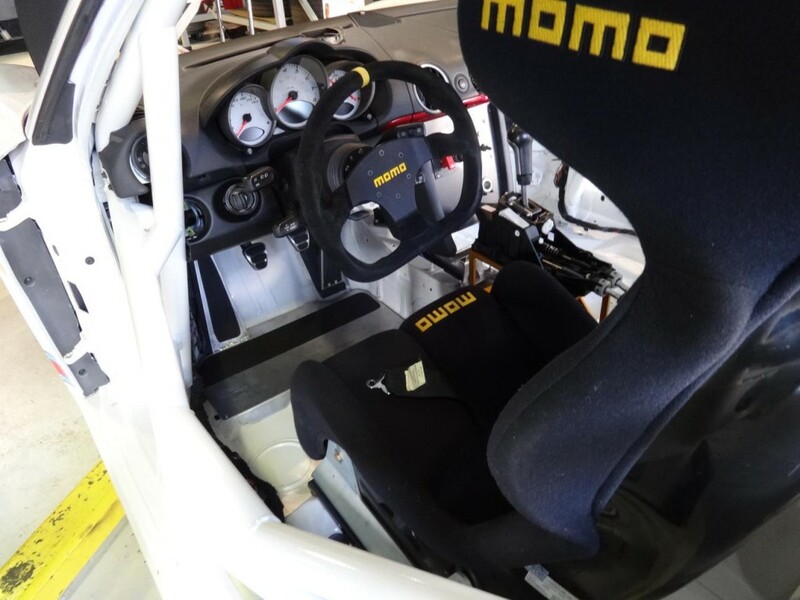 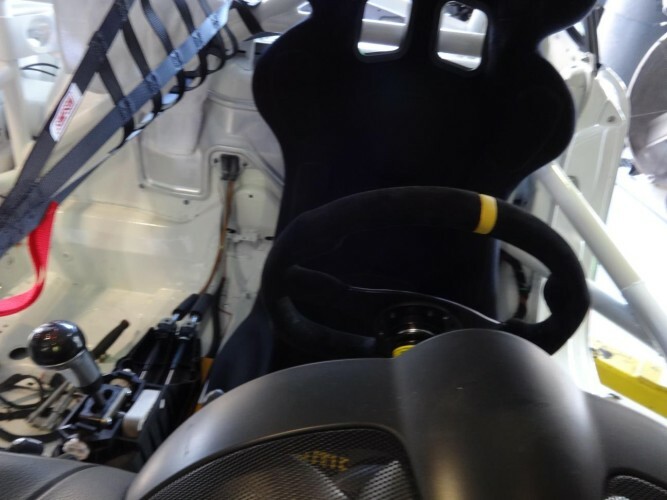 A MOMO Daytona FIA race seat with 6 point harness and MOMO quick release steering wheel added next. 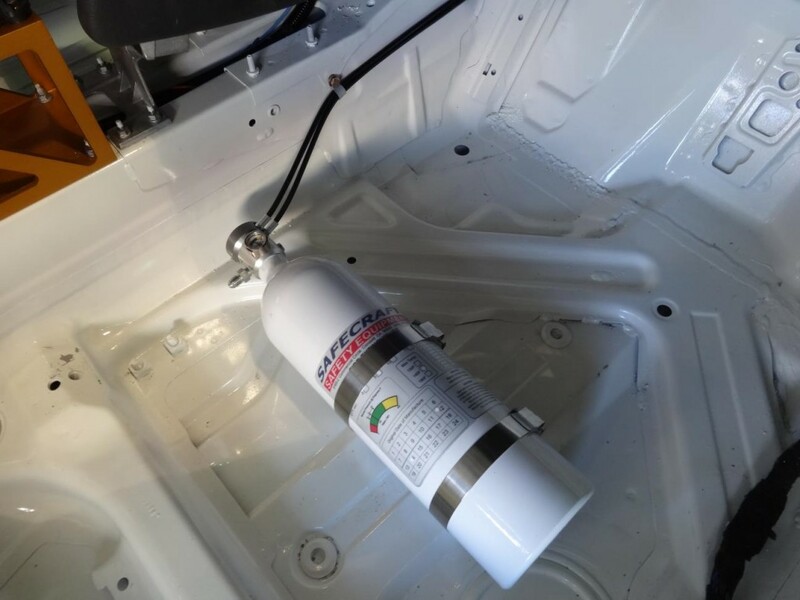 Safecraft 5 lb fire extinguisher system and a 6 pole kill switch were next and installed, along with two safety nets (driver side window, center safety net) to complete the interior safety requirements. 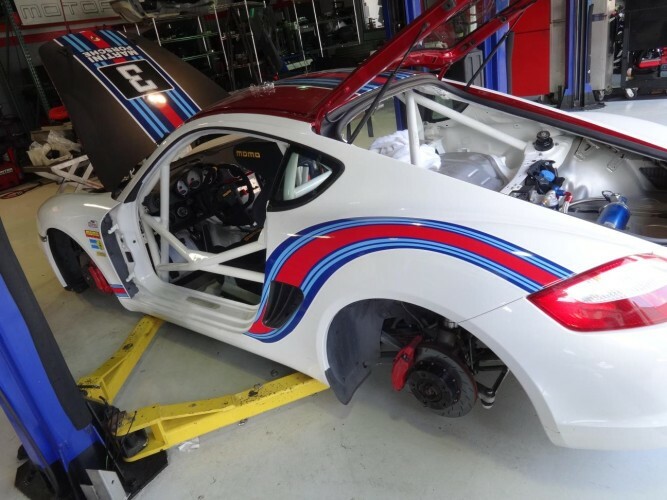 On the exterior, a cayman interseries rear spoiler and uprights were installed, the front fog lights and supports removed and replaced with screens to allow greater flow of air and a 996 GT3 cup front splitter put in place. The exterior was painted single stage grand-prix white with black accents and the original red color left on the roof and rear lid. 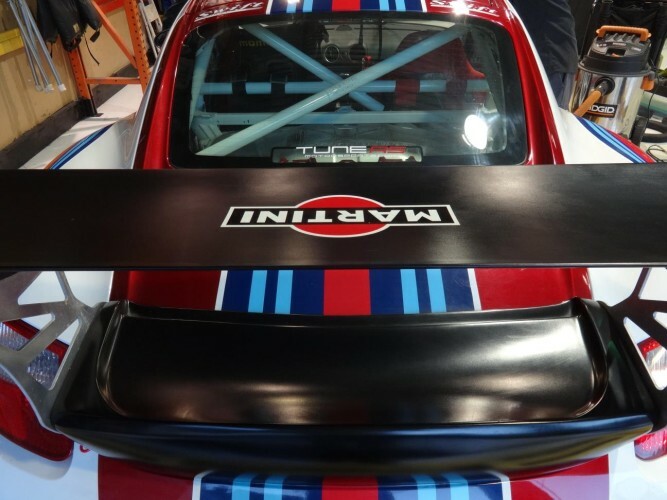 Martini livery was then wrapped to give it some extra appeal. 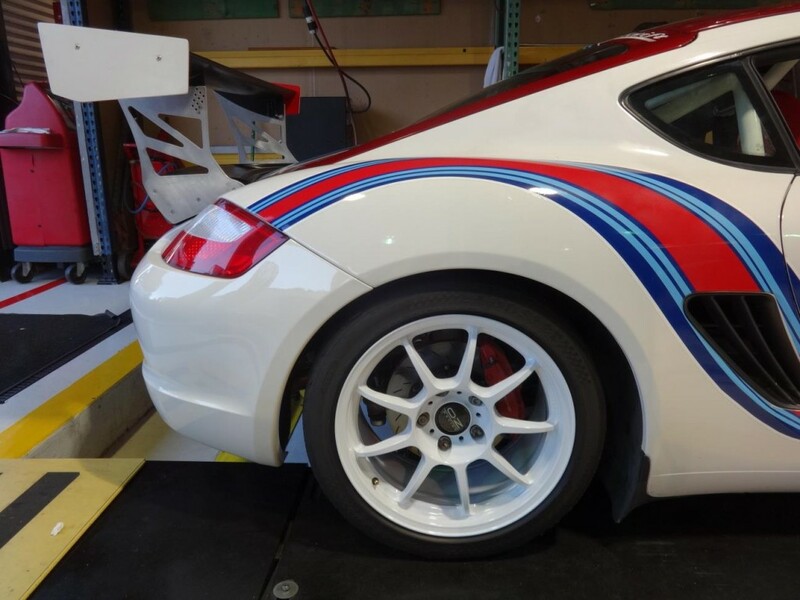 The wheels chosen are lightweight 18” OZ race wheels wrapped in Hoosier R6/R7 racing compound tires. 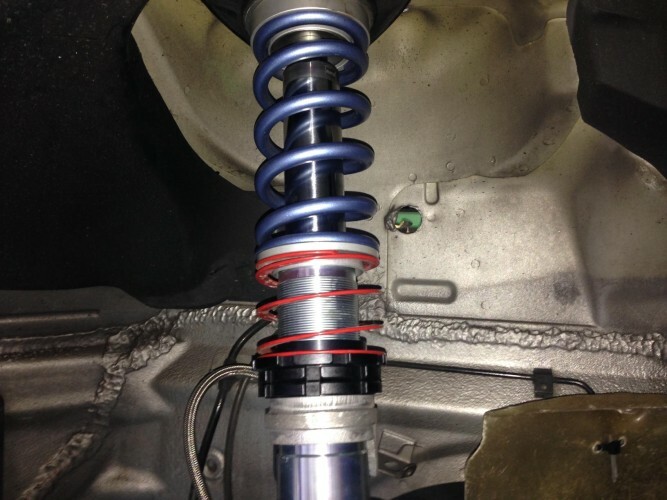 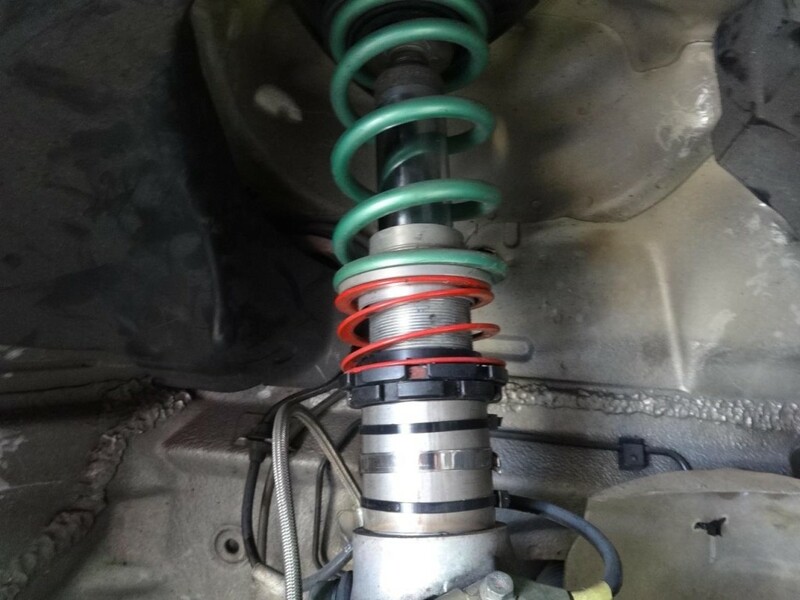 Suspension was replaced with a nice “club racer” setup of Bilstein PSS9s with swift racing springs, GT3 lower control arms, GT3 adjustable sway bar and drop links and rear monoball shock mounts. 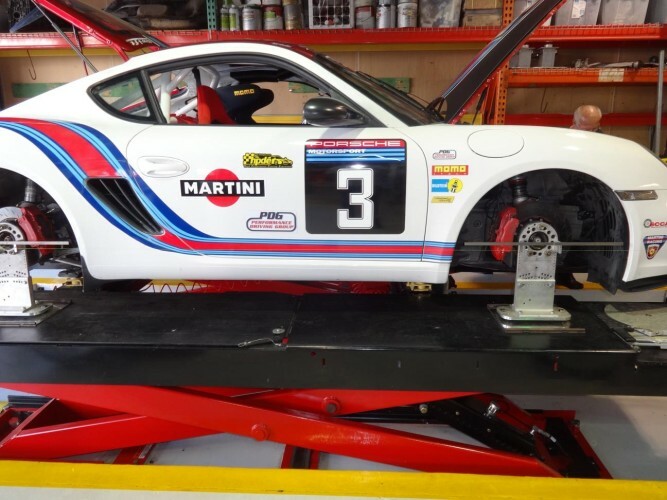 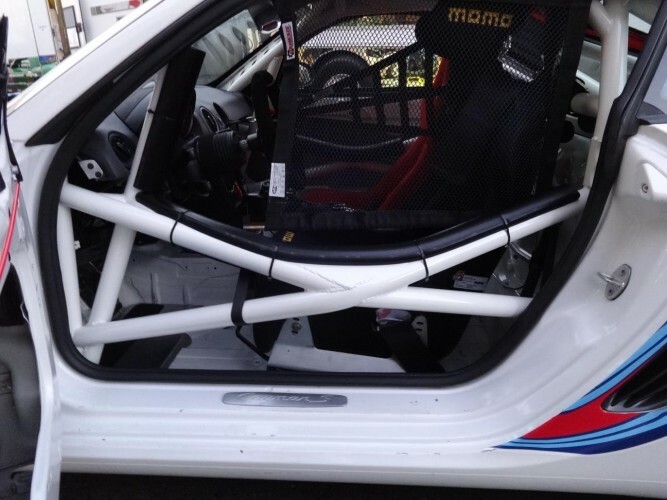 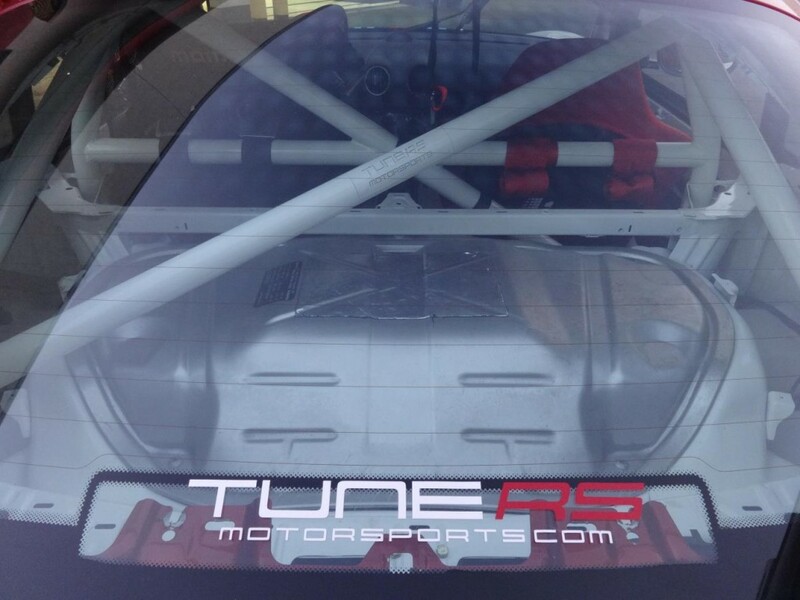 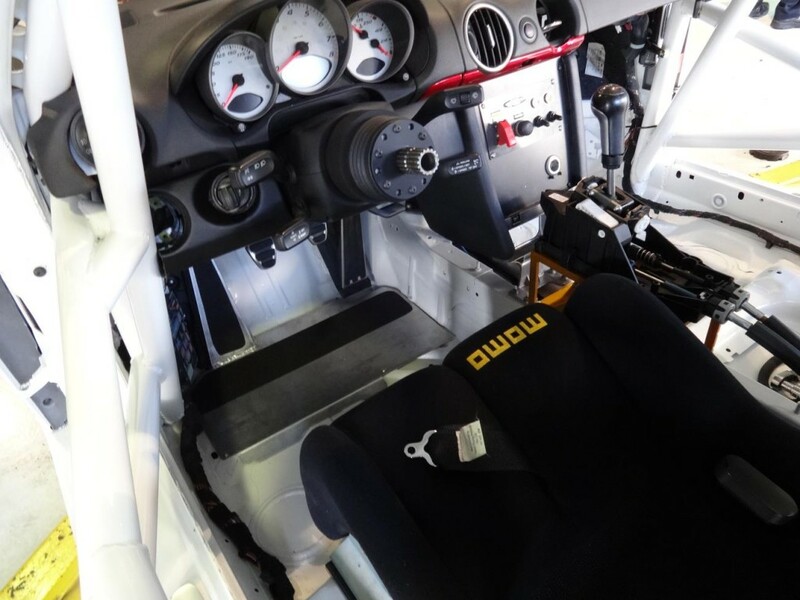 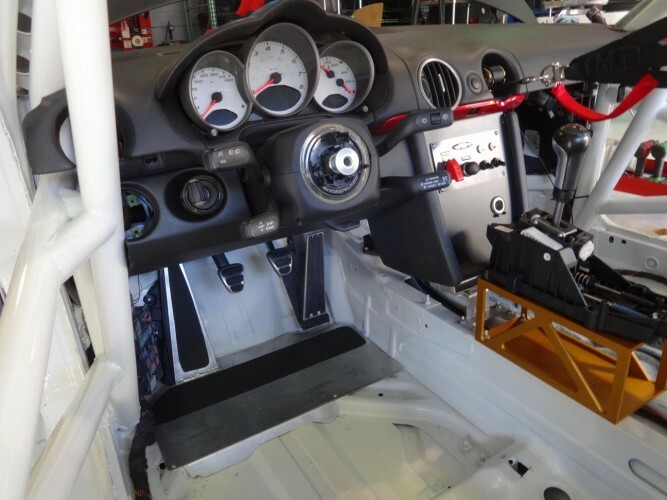 What set out to be a weekend track car turned into a dedicated racing vehicle that can compete in most sanctioned racing clubs nationwide.